From our humble beginnings when we first registered in the year 1969, National Kidney Foundation of Malaysia (NKF) strives to raise the standards of care we provide to patients with kidney failure and those who are suffering from various kidney-related diseases. In 1993, we opened the doors of our first dialysis centre at Jalan Hang Lekiu, Kuala Lumpur. Over the years, NKF has grown tremendously with the support from many parties. NKF has expanded its role from being just a dialysis treatment provider, to becoming a one-stop national resource centre for all kidney-related matters. 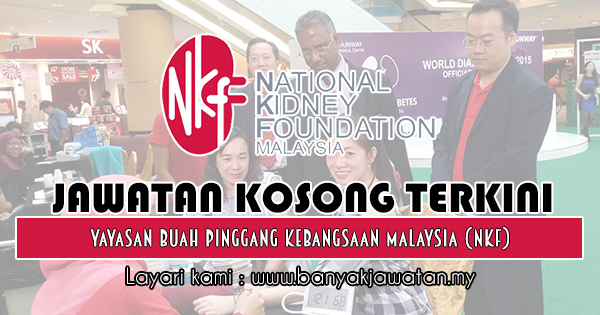 0 Response to "Jawatan Kosong di Yayasan Buah Pinggang Kebangsaan Malaysia (NKF) - 15 Februari 2019"